Also known as May Chang, Litsea Cubeba is a tree belonging to the Lauraceae family. Also known as ‘Mountain Pepper’ or ‘Chinese Pepper’, the plant is native to south China, Indonesia, Java, Sumatra and other regions of Southeast Asia. It is widely cultivated in Japan and Taiwan for its commercial uses although China remains the largest producer and exporter of the oil. Litsea Cubeba is a small deciduous tree that grows to a height of 5 to 8 meters (16-26 feet), with smooth trunk measuring 6-20 centimeters (2.5 to 8 inches) in diameter. The tree bears white or pale yellow, lemon-scented flowers, and small fruits which are similar in shape to small peppers, from which the word ‘cubeb’ is derived. Measuring between 4 to 6 millimeters in diameter, the aromatic fruits are almost spherical in shape and green in color, turning red then dark brown upon ripening. When dried, these small fruits look like large, dried black peppers and provide the source of Litsea Cubeba essential oil, although oil can also be extracted from the flowers, branches, bark, roots and leaves too. The essential oil derived from these parts of the plant does not have the same odor as the fruits though. Litsea essential oil is extracted from the ripened and dried fruits of the Litsea Cubeba tree through steam distillation. The scent of Litsea Cubeba oil can be compared to Lemongrass, although the former is often described as “finer” and “sweeter” than the latter. This oil is effective in skin care, particularly as an astringent for oily skin, but should be well diluted for skin application or in any products intended for that purpose. Litsea Cubeba is delightful for lifting and soothing the spirits and works wonders for the digestive, immune and nervous systems, and more. Litsea cubeba is native to China, Indonesia and other areas of Southeast Asia. In China it grows naturally in the south, and has been cultivated in central and eastern areas to the south of the Yangtze River for its various commercial uses. Smaller quantities of this species also grow wild in Java, Sumatra and Kalimantan, between a height of 700 meters and 2,300 meters above sea level. It is also cultivated in Japan and Taiwan. Litsea cubeba essential oil is not available in the Western world until the early 1950’s, when it began to compete with lemongrass as a source material for the extraction of citral. Widely used in soaps, fragrances and flavorings, production of the essential oil is still almost entirely based in China, and very little is currently known about their methods of cultivation or harvesting. Litsea Cubeba’s antibacterial and antiviral properties make it effective against common infections like cold and cough. Simply pop a few drops into a vaporizer to keep any respiratory problems at bay. Litsea Cubeba is also very useful in treating infectious skin conditions such as Athlete’s Foot because of its pronounced antifungal action. Litsea cubeba essential oil has an enthusiastic aroma that is flowery and lemony in nature. It is for this purpose Litsea cubeba herb and its oil has been used in making perfumes, soaps and other cosmetic products. Inhaling the magical aroma of this oil uplifts your mood, augments mental alertness, refreshes your mind, influences new ideas for life, pacifies your depressed mind and grants you a sense of freedom and confidence. Litsea cubeba oil is used for calming the mind and senses. Adding 2 drops of this oil to vaporizer, diffuser or burner aids in treating your mental worries and give a new lease of life to your world around. The medical science found that Litsea cubeba essential oil is very effective to treat the fatigue problem. A few drops of Litsea cubeba essential oil will heal and treat the stressed mind and also laziness. If you have oily skin that is prone to acne and breakouts, Litsea Cubeba may be just what you need. While its gentle astringent properties work to cleanse your pores, its antimicrobial and anti-inflammatory action minimizes and heals existing flare-ups. Mix 7 drops of Litsea Cubeba in a 1 Oz bottle of Jojoba Oil and dab it all over your face twice a day. Apart from that Litsea Cubeba has the ability to control excessive perspiration and check bacterial growth that leads to unpleasant body odor. Just pour a few drops of the essential oil into your regular body lotion and turn it into a fragrant deodorant without any alcohol or harmful chemicals! Litsea Cubeba is naturally anti-fungal and antibacterial, which makes it a great treatment for athlete’s foot, ringworm, or any other type of fungal infection. Simply add 5 or 6 drops of Litsea Cubeba to carrier oil or foot lotion and massage it into your feet. You can also add the oil to a foot soak to enjoy its benefits. Litsea cubeba oil assists in increasing blood circulation, reducing inflammation and strengthening the muscles. This oil aids in eliminating the excess fluid deposits and toxic substances in the body and tones your tissues. Massaging the affected area with 2 to 3 drops of Litsea cubeba oil blended with 20 drops of coconut oil helps relieve pain, headache, muscular tension, respiratory ailments, arthritis and rheumatism. You can also use this oil in hot or cold compress for assisting inflammation and pain. Since long time ago the ancients used Litsea cubeba essential oil to heal asthma. The aroma of Litsea cubeba essential oil will give the fresh air and it will promote the fresh air through the respiratory system. Thus it will be the effective way to heal asthma. Just like it is cleansing for the body, Litsea Cubeba is also cleansing for the soul. Scientific studies have proven that Litsea Cubeba can help control arrhythmia (which is a common sign of stress and anxiety) and induce relaxation. Its alluring scent soothes the nervous system and helps us express our emotions in a more constructive manner. Litsea Cubeba is the perfect antidote for seasonal blues, stress, anger and irritability. It helps get rid of negative emotions and promotes relaxation, mental clarity and restful sleep. Use it in a diffuser, bath or massage oil to liven up your day. With the strong citrus aroma and warming stomachic properties, Litsea essential oil increases pitta energy, which governs the process of digestion, thinking and body temperature. This herb and its essential oil augment the digestive fire and enhance the appetite, treat indigestion and flatulence. It prevents the formation of gas in the stomach and intestines. To support the process of digestion, blend 3 drops of Litsea cubeba oil with 15 drops of sesame oil and massage your abdomen or add 2 drops of this oil to warm bathing water. It has also been proved since long time ago the ancients used Litsea cubeba essential oil as the effective herb to heal the back pain. The relaxation contained in Litsea cubeba essential oil can effect positively to the lower back pain. Thus for those who are suffering from backache, it will be better to use a few drops of Litsea cubeba essential oil as the alternative treatment. Litsea cubeba essential oil will be the effective way to solve muscle pain problem. Litsea cubeba essential oil contains anti-inflammatory in which it can heal any pains including muscles pain. A few drops of Litsea cubeba essential oil will heal this problem well. Litsea cubeba essential oil can normalize the cardiac arrhythmia. According to some studies Litsea cubeba essential oil is very effective to reduce the risk of arrhythmia for its sufferers. Litsea cubeba essential oil can regulate the blood pressure effectively. According to the researches Litsea cubeba essential oil helps to manage the blood pressure when used regularly. ‘A thing of beauty is a joy forever’ and when it comes to the beauty of human beings, skin plays the prime role in determining one’s external beauty. Litsea cubeba oil has everything that is essential to maintain a healthy looking skin from within. Massaging your skin with 2 drops of Litsea cubeba oil mixed with10 to 15 drops of coconut oil can work wonders on your greasy, oily and infection prone skin. This massage enhances blood circulation and controls the secretion of sebum. The astringent, antiseptic, antibacterial, antiviral and antifungal properties of this oil help you to keep away from acne, blemishes, eczema, dermatitis, allergies, psoriasis and cellulites. The ability to cleanse the skin, balance the flow of sebum and shrink open pores, aids in treating and preventing acne flare-ups. Litsea cubeba oil is the ideal fragrant way to keep away from insects and stay refreshed and ready to be picked up all through the day. You can add 2 drops of this oil in your regular insect repellant preparations or outdoor candles to keep your family protected from bugs, flies, mosquitoes and other insects and to give a clean and fresh feeling to your home. You can also add few drops of this oil in your shampoo, bathing water, body wash or skin care cream to stay protected in an insect-free environment. For those who are suffering from allergic or even chronic allergic may take a few drops of Litsea cubeba essential oil to relief the allergic. According to the study revealed that Litsea cubeba has antibacterial and antifungal in which they can hand the problem relating to allergic and Litsea cubeba will even make the skin relaxed. Bronchitis is very uncomfortable problem which can be handled by Litsea cubeba essential oil. According to the research Litsea cubeba can heal the chest ailments and also respiration including bronchitis. Thus for those who want to heal the bronchitis, Litsea cubeba will be the effective way to do so. Litsea cubeba is not known only of its great fragrance, but also it is known as the great essential oil to treat some diseases including the common disease such as nausea. A few drops of Litsea cubeba essential oil will relief the nausea well. It has been explained that Litsea cubeba essential oil is very effective to treat so many diseases including headache. The aroma of Litsea cubeba can affect the relaxation in which if it is oiled to head will give relaxation and that process will lead to the headache treatment and it will heal the headache. Acne is common problem among people. They even get stressed facing the acne problem and they try their best to find the best treatment to fight it, but it is good news that finally medical science found that Litsea cubeba essential oil can prevent the skin from acne. It is due to the antibacterial properties contained on Litsea cubeba essential oil which normalize the cellulitis and prevent from the bacteria caused acne. Oily skin is actually an uncomfortable problem which can be handed by Litsea cubeba essential oil. Since it has mild astringent properties Litsea cubeba essential oil can treat the oily skin very well. The powerful aroma itself will reduce the oily skin very well too. A few drops of Litsea cubeba essential oil as aromatherapy will reduce the inflammatory conditions including oily skin. Researches revealed that Litsea cubeba essential oil is very great herb to raise the relaxation and cheer atmosphere for people. Keep the mood healthy means that Litsea cubeba essential oil can make the mood happy, relaxed and fresh therefore it will make mood healthy. 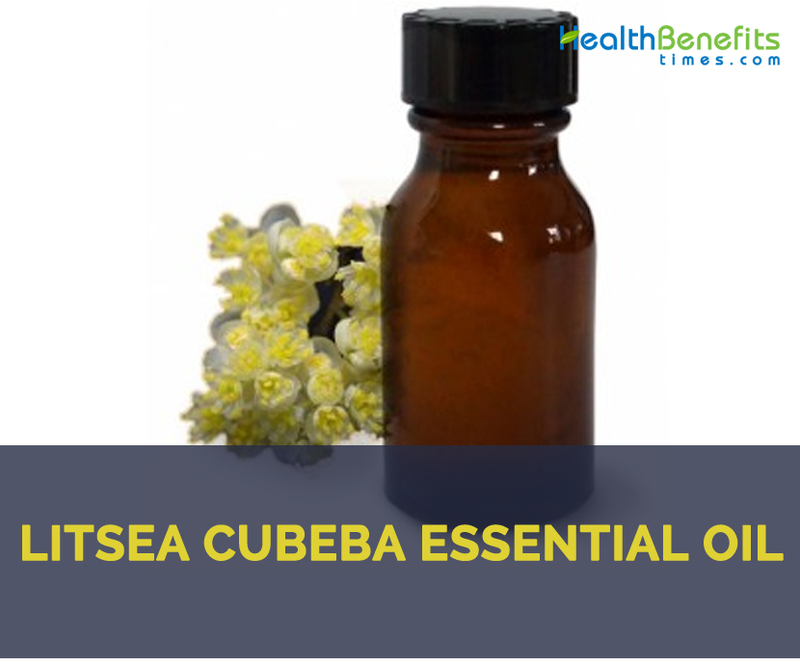 Fragrance from Litsea cubeba essential oil is believed can lead to relaxation and it is proved by many fragrance products using Litsea cubeba essential oil. A few drops of Litsea cubeba essential oil will erase the blues and also anxiousness among people. Sweating means that you are healthy, but the excess sweating is sometimes bothering you in any occasions. There are many products working on how to reduce excess perspiration very well, but one of the best is Litsea cubeba essential oil. It is proved as the effective deodorant to reduce the excess sweating. A few drops of Litsea cubeba essential oil will be the effective deodorant to reduce the excess sweating. This herb and its oil has also been used and proved effective in the treatment of arrhythmia, nervous disorders, high blood pressure, coronary heart diseases and cancer cells death in case of lung cancer. It has refreshing, stimulating and uplifting action, which makes it perfect for relieving fatigue and lethargic psychological states. 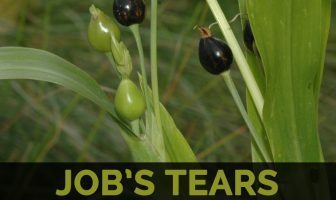 All parts of the plant were used to provide remedies for asthma, back pain, chills, digestive problems, dysmenorrhea, headaches and muscular aches and pains. It was believed to have carcinostatic properties and therefore used to treat cancer. Litsea Cubeba is a very effective deodorant that helps to reduce excess perspiration, so added to a lotion it can be used to make an all-over body lotion. When diluted in carrier oil, Litsea Cubeba essential oil helps to open up the bronchial passages for those suffering from bronchitis, allergies, asthma and other chest ailments. In traditional Chinese medicine, Litsea Cubeba sometimes blends with other medicines in throat gargles, but only experienced practitioners should combine essential oils for internal use. Chinese physicians use Litsea Cubeba oil to regulate blood pressure and heart rate. Due to its enticing “lemony” fragrance, Litsea Cubeba is widely used in the perfumery, cosmetic and flavor industries. It is great for cleansing jobs around the home such as sterilizing kitchen worktops. The oil may be helpful in warding off mosquitoes and may even be added to a natural shampoo for dogs, along with other ingredients like honey, lemongrass oil and citronella oil. It is also used as a raw material by the chemical industry for the synthesis of vitamin A and violet-like fragrances. It can be used in an oil burner mixed with a few drops of mandarin essential oil to create a natural and uplifting room freshener. A few drops can be added to candles or lotion to provide an insect repellent. Massage help to cleanse your body and mind while helping to ease aching muscles. For adults, add 1–3 drops in a diffuser or burner. For children over 2 years old, adults with sensitive skin or if applying to the face, add 1–3 drops in a diffuser. It is recommended that oils packaged in metal containers (for safe shipping), be transferred into dark glass containers to maintain freshness and attain maximum shelf life. The oil may increase pressure on the eyes, so avoid using it where glaucoma is an issue. Always check with your health care practitioner before using any herbal therapy. Avoid use on broken skin. Keep the Litsea Cubeba essential oil away from children especially babies or infants. If applying an essential oil to your skin always perform a small patch test to an insensitive part of the body. Litsea Cubeba is the botanical name for May Chang, a tree belonging to the Lauraceae family. The tree bears whitish-yellowish flowers that have a characteristic citrusy fragrance and fruits that resemble peppers. It is also known as ‘Mountain Pepper’ or ‘Chinese Pepper’ and the plant is native to south China, Indonesia, Java, Sumatra and other regions of Southeast Asia. Essential oil is extracted from the ripened and dried fruits of the Litsea Cubeba tree. Litsea Cubeba is delightful for lifting and soothing the spirits. It works wonders in skin care, as well as for the digestive, immune and nervous systems, and more. Flavor/Aroma Characteristic citrusy fragrance with fruity and spicy undertones compared to lemongrass or lemon verbena. Plant Part used Mostly Ripened and dried fruits although oil can also be extracted from the flowers, branches, bark roots and leaves too. In traditional Chinese medicine, may chang sometimes blends with other medicines in throat gargles, but only experienced practitioners should combine essential oils for internal use. Chinese physicians use may chang oil to regulate blood pressure and heart rate.